A small step towards the immortal download, new neurochip records long-term brain cell activity. 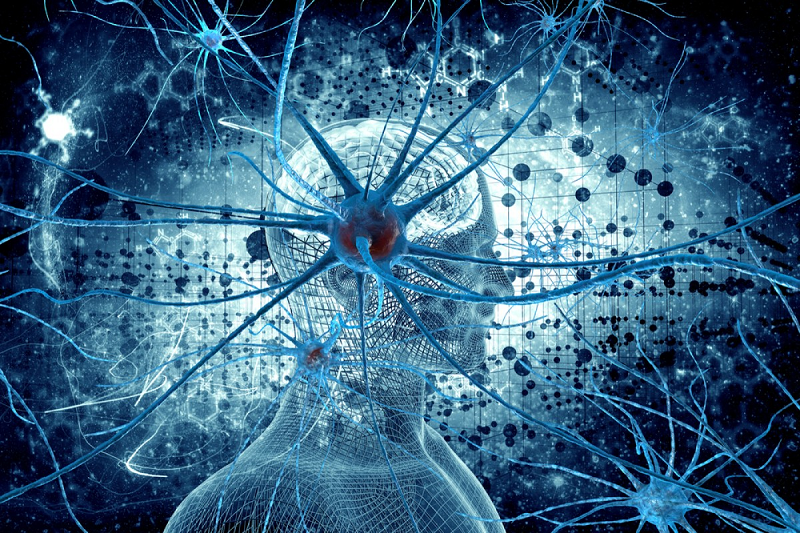 Various neuronal activity recording and stimulating devices enable cellular exploration to further understand AI, brain diseases, and work towards developing the ‘immortal download’. Brain functions are controlled by millions of brain cells, and to understand functions such as simple reflexes or learning and memory, researchers need to record the activity of large neuronal networks. Conventional methods have allowed scientists to record the activity of neurons for minutes, however, long-term recordings are needed. Now, a study from researchers at the University of Calgary develops a bionic hybrid neurochip, a microchip which is designed for interaction with neurons, which is able to record activity in animal brain cells for weeks at a high resolution. The team state that the development of this technology will allow the global medical community to investigate and understand in greater depth the origins of neurological diseases, as well as other cognitive functions such as learning and memory. The opensource study is published in the journal Scientific Reports. Previous studies show that the ability to accurately monitor individual neurons and their synaptic activity precludes fundamental understanding of brain function under normal and various pathological conditions. The recent breakthroughs in micro- and nano-scale fabrication processes have advanced the development of neuro-electronic hybrid technology. Among such devices are three-dimensional and planar electrodes, offering the advantages of either high fidelity or longer-term recordings respectively. The current study develops the next generation of planar microelectrode arrays with ‘nano-edges’ that enable long-term and high fidelity recordings at a resolution 15x higher than traditional planar electrodes. The current study develops a biomimetic neurochip to mimic the natural biological contact between brain cells, essentially tricking the brain cells into believing that they are connecting with other brain cells. Results show that the cells immediately connect with the chip, enabling the recording of the two-way communication that would go on between two normal functioning brain cells. The lab state that they have successfully simulated mother-nature and provided brain cells with an environment where they feel as if they are at home. Data findings show that this biomimetic technique increases the sensitivity of readings and help neurons build a long-term relationship with the electronic neurochip. The team surmise that while the chip is currently used to analyze animal brain cells, this increased resolution and the ability to make long-term recordings is bringing the technology one step closer to being effective in the recording of human brain cell activity. They go on to add that recording this activity over a long period of time allows observation of the changes that occur over time, in the activity itself; this helps to understand why certain neurons form connections with each other and why others won’t. For the future, the researchers state that their novel technology enables better understanding of brain function and offers a tremendous opportunity towards the development of future bionic hybrids as well as drug discovery devices.